It's hard to imagine now how people felt when, in 1983, Let's Dance emerged as if from nowhere. 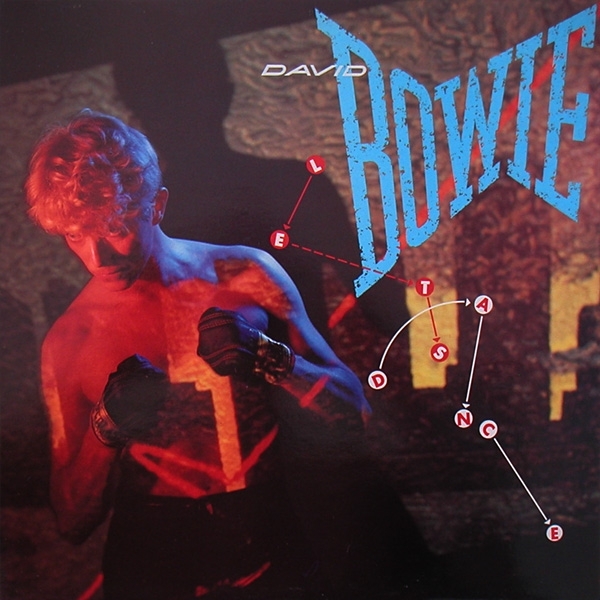 The general pop-buying public, at least, loved it - there are very few records shinier than this one, which glints like David Bowie's new teeth and is full of treble and echoes like a robber's cave. Bowie's choice of Nile Rodgers for producer was canny; Rodgers had moved away from the sophisticated disco of Chic and was becoming the person cool rock acts from Debbie Harry to Duran Duran would hire to give them a sheen of funk, rock and pop. Certainly nobody but Rodgers could have taken a song like China Girl (written by Bowie and Iggy Pop and originally recorded by the latter), with its paranoid references to "visions of swastikas", and turned it into a sweet, romantic hit single. And the combination of Bowie and Rodgers on the title track was perfect - Bowie's epic lyric about dancing under "serious moonlight" (the name of his subsequent monster tour, which lasted until December and took in 96 shows) and the brilliant filching of the crescendo "ahh! "s from The Beatles' version of The Isley Brothers' Twist and Shout were masterstrokes, each welded to a loud, stadium-ised drum and bass sound. But older Bowie fans were less impressed. The last three years had seen Bowie mooch between soundtracks (his theme for Cat People is reprised here), one-offs and a jumble of often-great records that had little or nothing do with his excellent 1980 album, Scary Monsters (and Super Creeps). Let's Dance may have had a ground-breaking sound and a popularity that Bowie clearly ached for, but it's often a mundane album, as songs like Ricochet and Shake It mark time until a single turns up. (It's possibly significant that one of the best songs here is Criminal World, a cover of a song by obscure Bowie clones Metro). But when Bowie growled, on another of the album's excellent singles Modern Love, "I know when to go out / And when to stay in / And get things done," he wasn't kidding. Let's Dance was literally the template for 80s Bowie - blonde, suited and smiling. It would, however, be a long time before he made another single as striking as Let's Dance.